White marks and spots on teeth are incredibly common, although most people who have them don’t know what they are, or why they’re there! We’re going to look at the causes of these pesky patches, and discuss possible ways to disguise them. Fluorosis If you’ve had white spots on your teeth since you were young, then it’s likely they were caused by ingesting too much fluoride during childhood. It’s usually a harmless condition, but can be prevented by drinking fluoride-free water, and using the correct amount of fluoride toothpaste as a child. According to official guidelines, children under the age of three should only use a tiny smear of toothpaste, and when they eventually reach that age, they should still only use a pea-sized amount. Enamel Hypoplasia This white spot-causing disease is usually a result of nutritional deficiencies, smoking during pregnancy, premature birth, a high-fever as well as certain medicines. 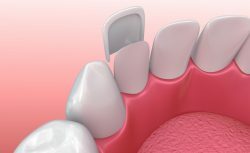 Hypomineralisation (the decrease of minerals found in the tooth enamel) is a typical characteristic of enamel hypoplasia, and often leads to tooth decay and tooth sensitivity. 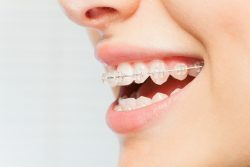 Wearing Braces Plaque builds up pretty easily around brace brackets, and when it’s not removed, white spots can appear. If you want to prevent the marks from forming, you should rinse your mouth with water and brush your teeth after every meal. Also, brushing using circular motions and angling the brush towards the gum line can be a good way of keeping plaque at bay. In terms of treatment, disguising the marks is usually the best course of action, as opposed to removing them. Why? The issue usually arises from the core of your teeth rather than the surface (they are not just stains that can be simply removed). But do not fear, as there are various ways to make them look pretty much invisible. Teeth Whitening Whitening treatment is an easy and effective way of hiding white spots, because it will even out the colour of the affected tooth/teeth. Here at GDC Liverpool, we offer both a professional take-home bleaching tray system, as well as a Zoom in-surgery whitening treatment. Both options would be effective, and you can find out more about them here. 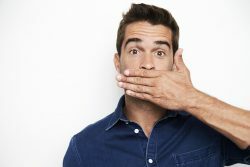 Porcelain Veneers If you have significant white marks on your teeth, bleaching might not be able to hide them completely. Luckily, veneers are the ultimate disguise. 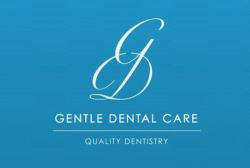 At Gentle Dental Care, we use wafer-thin layers of porcelain which are attached to the front of your teeth, and cover up any staining, discolouration or marks that might be present underneath. They can last somewhere between 10 and 20 years—the ultimate long-term dental solution. Find out more about are treatment options here. We hope that this has provided you with an overview of white spots on teeth. If you’d like to book an appointment to discuss possible treatment options, you can fill in our online contact form or get in touch on 0151 772 3000.